Hands Together is Rated a 4-Star Charity for demonstrating strong financial health and commitment to accountability and transparency. You can help us to help the Haitian people through our projects: feeding and nutrition, medical care/mobile clinic, education and disaster relief. Father Tom, Doug and staff members of Hands Together continue the relief effort to help those in Jeremie and Les Cayes rebuild after Hurricane Matthew. Your donations go directly to help the people of Haiti. We deeply appreciate your donations. You can make a difference in the lives of the very poor. God Bless You! Hurricane Matthew hit Haiti on October 4-5. This powerful storm dished out a lot of rainwater and heavy winds -- but it was mainly the South/Western peninsula that received the largest rainfall and heaviest winds. 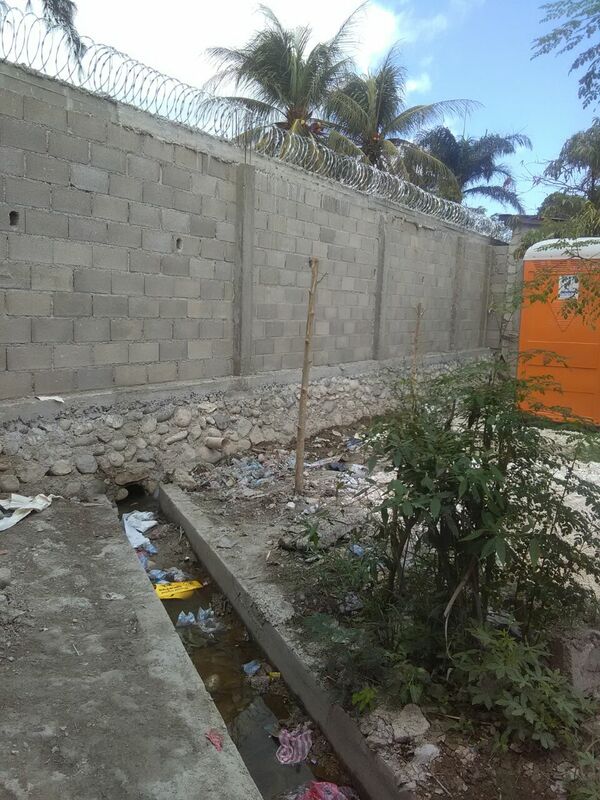 Port-au-Prince, where our HQ and school projects are, suffered major flooding damage. · Damage to the agriculture and cattle. There are serious concerns that the already existing cholera will further develop. HT offered shelter to those hardest hit by the flooding during the storm. We cancelled classes and housed thousands of people in our schools to provide safe shelter from the storm and our kitchens provided hot meals for those in need and our water truck delivered fresh water to those who could not get to our compound. In addition to the effects of our student population and the areas we serve there was damage to our high school building as you can see in the photos. The school endured 5 feet of water and the students having been cleaning out the water and the mud that comes with it over the last few days. Thankfully there has not been any major injuries or loss of life. Fortunately, this is not anything new to us and we learned through the earthquake how to mobilize quickly. Anything anyone can give for this disaster and emergency relief effort will be met with great gratitude! 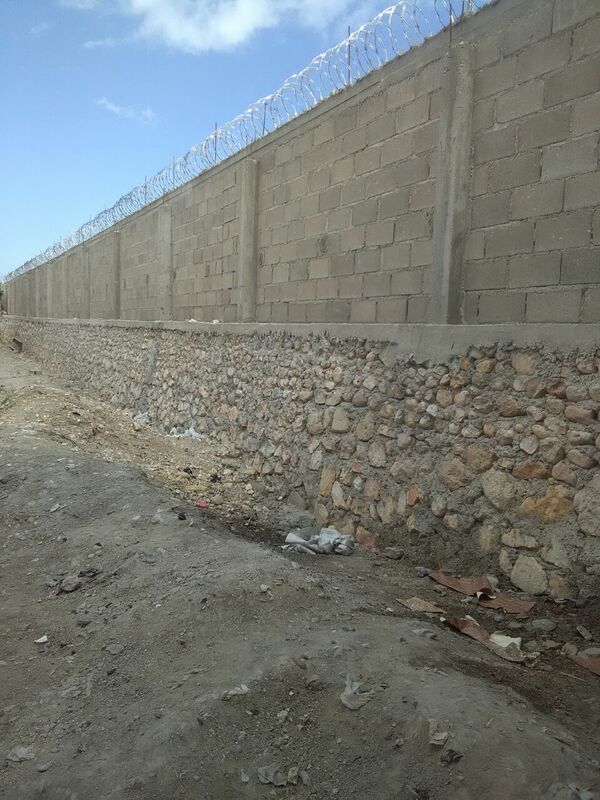 A few pictures of the completed wall repair at our high school after serious damage from the hurricane. We need your help. We thank everyone who donates to us and prayerfully strive to use these gifts carefully and well. As a rule, we avoid self-promotion and rely only on our efforts to attract whatever goodness should come our way. We embrace the spirit of St. Francis DeSales who said, "Desire nothing, refuse nothing; and in that lies all perfection." The U.S. Catholic Bishops' 1986 pastoral letter, "Economic Justice for All" states, "everyone has special duties toward the poor; all who have more than they need must come to the aid of the poor." Hands Together will use every donation in this endeavor. HT Mobile Medical unit and water truck provide help to residents of Cite Soleil. Improve & expand medical services: Our mobile medical unit circulates daily and includes: training program for 24 health agents, improved medical testing, imaging through portable scanning and x-ray, improved medicines and supplies, program expansion to include rural villages in the Gonaives areas and electronic record keeping. Help our water well drilling team: We just replaced our 1976 T4W drilling rig which has finally reached the point where it makes no sense to put any more money into it for repair and maintenance. We purchased a 1999 reconditioned T3W rig (we can use the old rig for parts). The contract includes several year’s worth of parts and consumables. Scholarship/services for h.s. graduates: Our graduates represent our best hope for the staffing and future of HT programs in Haiti. Many wish to return to our schools as teachers and administrators, or to help our medical outreach; others want to work in agriculture or well drilling. Help us provide college or further training for them. Average tuition and expenses is $3,600. 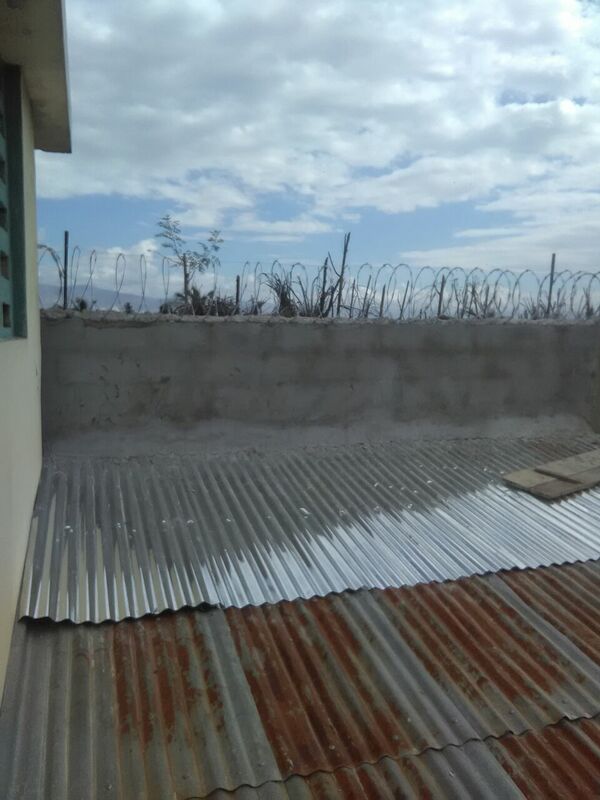 Residence, staffing, new land Clarke Farm: The Clarke Farm continues to provide excellent “classroom without walls” teaching for agronomy students throughout Haiti and for farmers in the Gonaives region. Most importantly, we need to hire an experienced farm manager. We need to complete construction on our staff residence building and purchase 23 more acres of adjacent land. Finally, we will introduce cattle, chickens and goats into the farm and teach farmers to raise livestock. Music school: We will open a music school in Port-au-Prince. Music can diffuse conflicts, combat violence and greatly enhance our educational system. Charity fund: Each year we budget $40,000 for emergency needs and charity. It is never enough. The needs of the people and the desperation of those who come to our gate cannot be exaggerated. Please help us provide direct, simple, charity by increasing our charity fund. Hands Together has been awarded Charity Navigator's highest four star rating for sound fiscal management. 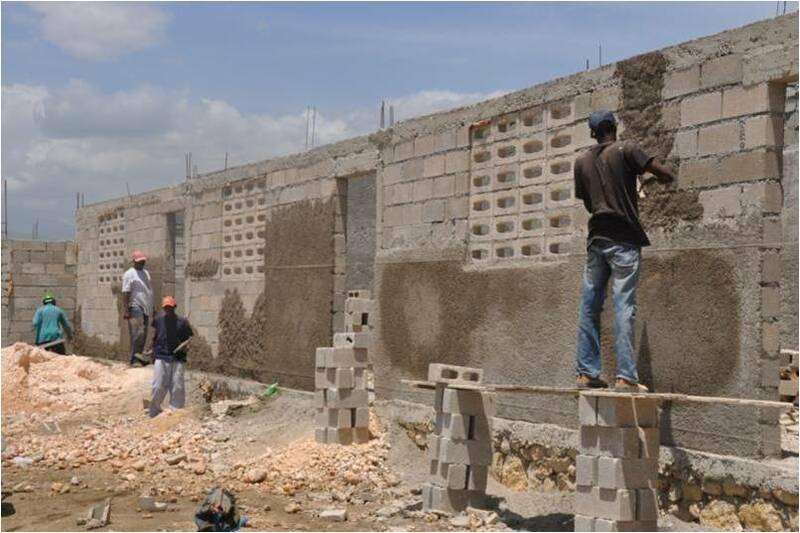 Help us continue our work to help the poorest of the poor in Haiti through a general gift. You may make a credit card gift by clicking the Donate Now Button on our site. Your employer's programs may make giving easier. Hands Together quailifies for most employer matching gifts programs. You can also give to Hands Together via workplace campaigns like United Way - contact the human resource department where you work. Hands Together is recognized as a tax-exempt organization under Section 501(c)(3) of the Internal Revenue Service Code. All contributions are tax-deductible in the United States. We've been fortunate enough to benefit from the long-range vision of donors who have left bequests, charitable remainder trusts and from stocks or other non-cash assets. You may wish to consider a planned gift to Hands Together through a bequest (will), or trust. These gifts help reduce your taxable estate while allowing you to support our work in Haiti. Please call our office if you wish to consider planned giving at 413-731-7716.